After reading the book I Need My Monster, the students in Mrs. DeSherlia and Mrs. Noble's class used words and drawings to create their own monsters. Students in Mrs. Heitzig's class at Jersey High School took the descriptions and drawings and created "actual monsters" using fabric and other materials. 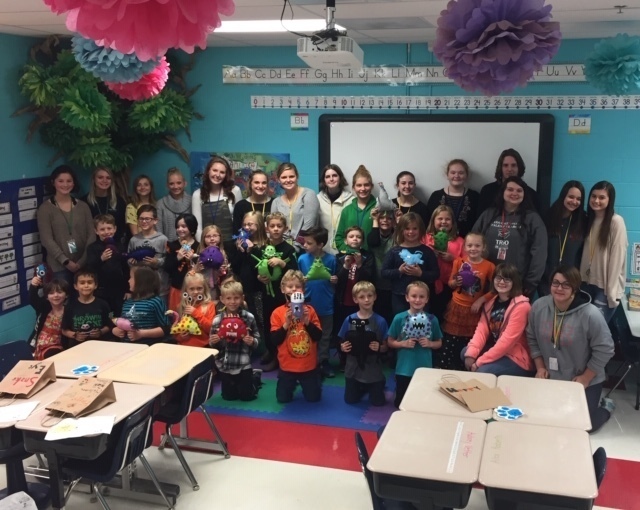 The high school students walked to East Elementary, and gave the students the stuffed monster they created.